Why must we look to Fiji as an example of democracy? They have lost their own royal family and their democracy as well. With four coups in the last 20 years and a chiefly system tainted by corruption, Fiji has hardly any moral ground to judge other island governments. THE AMOUNT of misinformation about Tonga being transmitted locally and around the South Pacific is becoming more commonplace as illustrated by an editorial in Suva-based Islands Business magazine. Claiming "double standards over Fiji, Tonga", the opinion piece was written by Laisa Taga. Media freedom enjoyed through much of the region allows a diversity of commentaries on any issue concerning the island states, but misinformation is nothing new. What is often disheartening though is the growing amount of commentaries by regional journalists about nations in which they do not live or work. Just how would they understand what is going on? Much of the commentaries lack depth and are often based on misinformation. 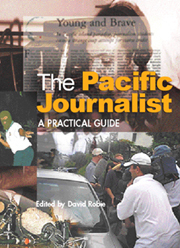 Taga refers to a cracking down on pro-democracy media in Tonga. She suggests Sangster Saulalas OBN TV is an example of media kept off the air after the riot". Another example of pro-democracy media Taga alludes to is Akilisi Pohivas Kelea newspaper edited by Radio Tongas former general manager, Tavake Fusimalohi. According to Taga, these two media organisations are being picked on by government because of their independence and pro-democracy stance. Nothing could be further from the truth. I have been the publisher of Tongas first independent newspaper, Taimi o Tonga, for 18 years, and am now its editor-in-chief. To this day, the Taimi has been an ardent advocate of democratic reforms in the kingdom of Tonga. Our newspaper is produced in the Tongan language which means Taga and most regional journalists cant read it. We have criticised government policies and practice in regards to reform. Weve been critics of the policies and practice of the so-called pro-democracy movement now known as the Temo. Temo is now involved in corruption and bad practices for which its supporters have criticised the government for the past 20 years. There has been no cracking down on pro-democracy media. Tagas assertions seem based on ignorance. They are quite misleading. OBN TV was not shut down by government. It simply could not afford to continue to operate. The television stations management had been asked by the landlord of the property it was using to vacate more than a year before the November 16 riots. The landlord, who was never paid for the stations use of the property, had a business deal for the Janfull-Dateline Hotel to expand to this site. In what can only be described as a reprehensible effort to mislead, Saulala told people publicly that the government was trying to shut down his television station. The march to Panga Sii from OBN-TV on November 16, from which most of the rioters emerged, was a protest organised by Saulala and his associates. 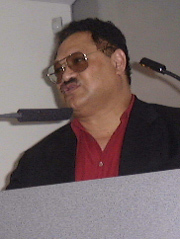 Tavake Fusimalohi has portrayed to the media in the region that his newspaper is being persecuted. His claims began when he was asked to stop work because of the kingdoms Sunday law. The Taimi experienced similar rebukes previously and was warned by police to desist. We adjusted our schedule and we no longer work on Sundays. Like us and other media outlets, Saulala and Fusimalohi are in no way being hindered or persecuted for our freedom of the press. It is often surprising --- if not comical --- that this kind of misinformation and untruths are being passed on to those outside Tonga. If Saulala and Fusimalohi suffer from anything, it is from the dark side of their own ethics, or lack of it. Tonga alone needs to determine its own structure and future. Prime Minister Dr Feleti Seveles government has introduced new governance measures to Tonga with their fight against corruption and their commitment to democratic reform. These efforts have the whole-hearted backing of King George Tupou V.
Why must we look to Fiji as an example of democracy? They have lost their own royal family and their democracy as well. With four coups in the last 20 years and a chiefly system tainted by corruption, Tagas Fiji has hardly any moral ground to judge other island governments. We look at the one time prosperous Nauru or the troubled Solomon Islands, both of them democratic island states, and we would rather be left alone to work out what suits us. I contend we do not even want a democracy like Australia and New Zealand, with their uncontrollable crime rate and intense social problems. Tonga has chosen to reform its system and we are working out an appropriate time line for that. The kind of supposedly democratic pressure and ethics that led to the sad events of November 16 is not what we want. We want -- and need -- a democracy in which the rule of the people will be Tongan in nature and in practice. Kalafi Moala, publisher of the Taimi 'o Tonga, advised the Tongan government in January on how to better manage its post-riot information services.